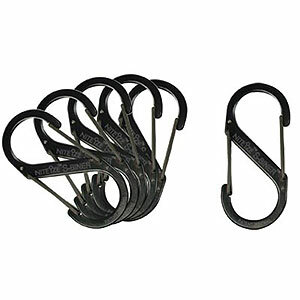 These stainless steel S-Biners are more versatile than standard carabiners, because both ends have spring gates to accept ropes and other items. Great for carrying keys and other small items on your belt. Note: Not for climbing or where disengagement could result in injury or damage.